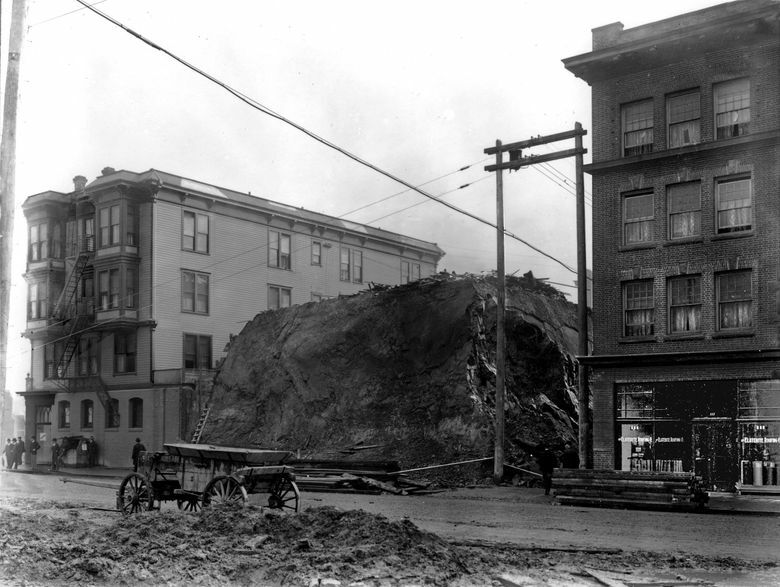 HERE, SIDE-BY-SIDE in one photograph, stands a three-part lesson in the changes at the slope of Denny Hill between about 1890 and Jan. 17, 1905 — the date consistently inscribed on this and a dozen other photographs uncovered by persistent explorer Ron Edge. Many more intimate subjects — like polluting steam shovels and spraying water cannons — are also readily found in several of the photographs. 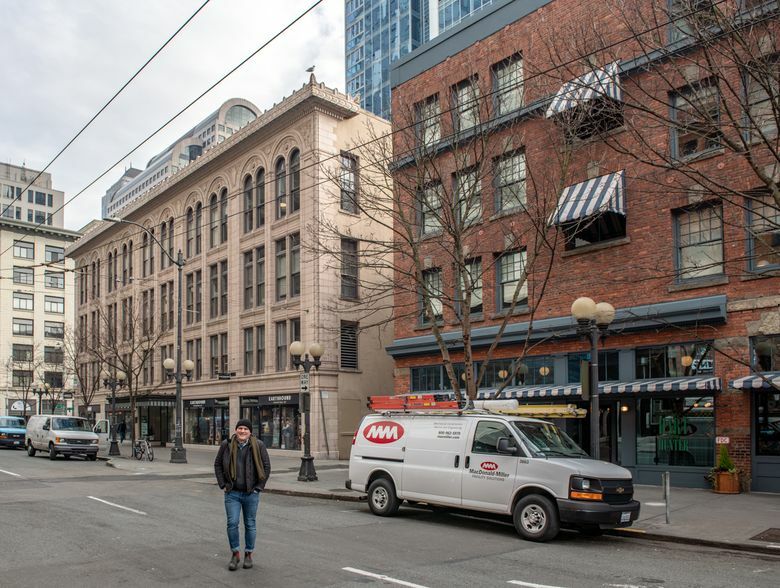 In our “Then” photo, there is a wagon on the left and a cadre of regrade watchers gathered far left at the corner of Second and Pine. Should you care to play hide and seek with all 13 of Edge’s Denny Regrade prints dated Jan. 17, 1905, you will find them in the blog listed below, along with additional captions and other photos from the same “corner” of the Denny Regrade that have reached us through other collections.